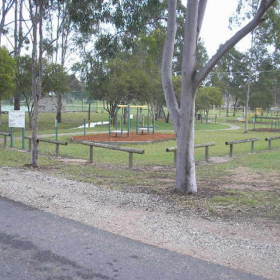 Lambert & Rehbein were commissioned by the Beaudesert Shire Council (BSC) to provide specialist stormwater engineering support to the project that involved the redevelopment of Jimboomba Park which is situated at the corner of South Street and the Mount Lindesay Highway, Jimboomba. The proposed redevelopment consisted of a total upgrade of the existing park with a new clubhouse, carparking and sporting facilities. 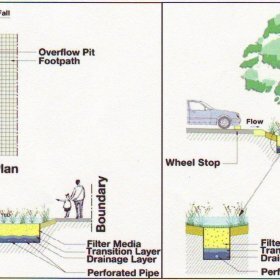 As part of the overall development Lambert and Rehbein developed a Stormwater Quality Management Plan (SQMP) utilising MUSIC (the Model for Urban Stormwater Improvement Conceptualisation) to determine the appropriate treatment train of stormwater quality improvement devices (SQID) that would meet or exceed relevant local Water Quality Objectives and guidelines. Rainwater harvesting typically from roofed areas and stored for reuse in either underground or above ground tanks. Reuse primarily for the irrigation of landscape and garden areas throughout the development site. Storage options included modular underground water tank systems such as the Atlantas “Rainwater Harvesting (Re-use Tanks)” and detention basins. Development of harvesting, storage and reuse options.